Telltale Games, the company behind the recently popular ‘Tales of Monkey Island’ franchise are set to release a new BTTF game, and while it was announced back at E3 that the company had signed a partnership with Universal to bring this and Jurassic Park to PC, PS3, and Xbox 360, we have some fresh news that will interest the die-hard Back to the Future fans. 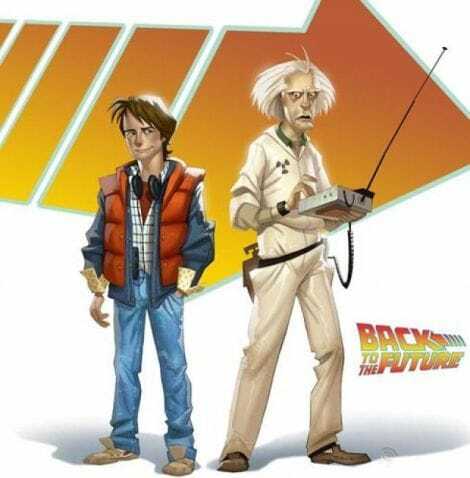 Marty McFly will be in the game, and a likeness of Michael J. Fox will be used to portray him to star alongside Doc Brown who will also voice his own character. Even though we never got to see a BTTF 4 film make it to Hollywood, Bob Gale who worked on the screenplays for the original films is working with Telltale on a plot for the five planned episodes that are set to include the DeLorean and the setting of Hill Valley in California. The game is set in the year 1985, and journey’s through time are set to take place leading you to meet other characters that also appeared in the original trilogy. While this is not much to go on, you’ve got to be happy that Lloyd and Gale are both involved in the games development. At least then we can get a sense of realism and maybe even get a close glimpse of what BTTF 4 could have been.